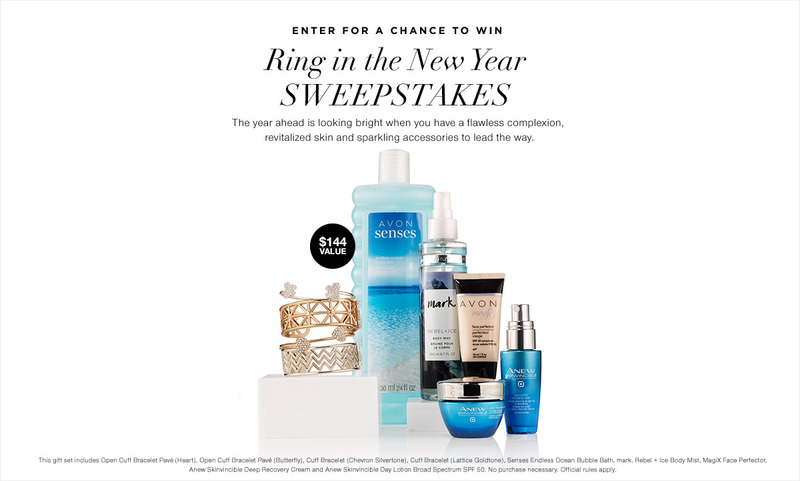 You can now enter into Avon’s New Year giveaway which includes a makeup and skincare gift set! Entry is only open to US citizens and all winners will be announced on 01/31/18. This entry was posted in Giveaways and tagged avon gift set, avon giveaway, avon new years giveaway, avon samples, avon sweepstake, avpn, free gift set, gift set, gift set sweepstakes, give away, giveaway, makeup sweepstakes, new years, sweepstake.